The world's biggest drug companies have been on a roll for years - making profits other manufacturers can only dream about. Bolstered by patent protection, they've got a captive market - and they milk it for all it's worth. While consumers in the rich world get every conceivable kind of medicine - from the essential to the downright worthless - those who can't pay the price must suffer. This includes a full third of the world's people who have no access to essential drugs. 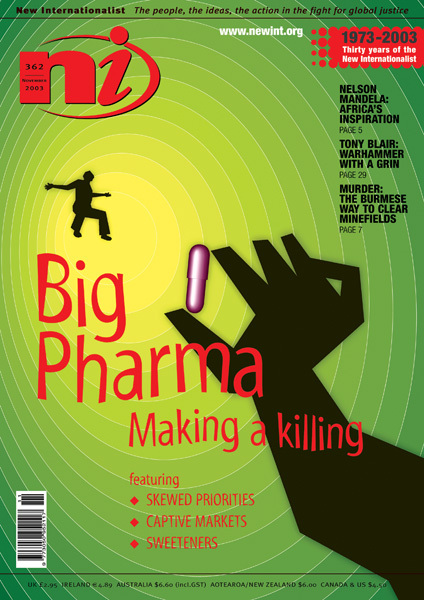 Big Pharma ignores demands for cheaper drugs and works overtime to protect the status quo. The NI takes a hard look at a situation crying out for change.